The CZone Contact 6 is an entry level digital switching module. It offers six independent channels of positively or negatively switched output channels and is ideal to standalone on smaller marine or recreational vehicle applications, or as part of a larger network. 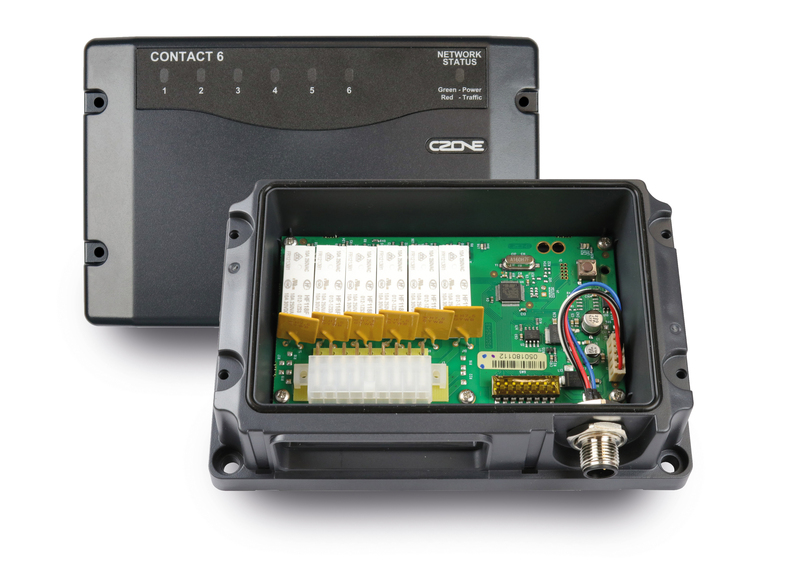 The Contact 6 can be networked via NMEA 2000 and controlled using a CZone Touch display, wirelessly using a CZone Wireless Interface, networked Multifunction Display or digital push or toggle switch. 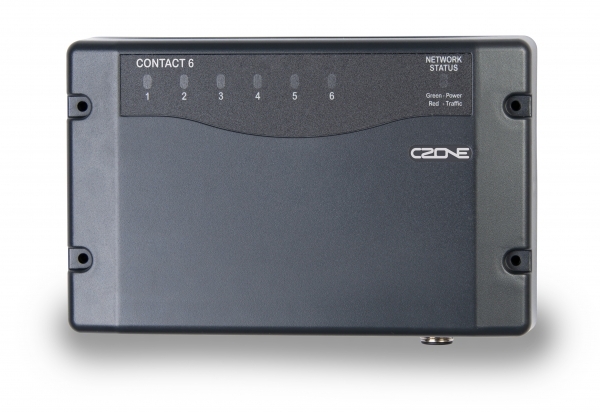 CZone’s Contact 6 offers six 7.5 A outputs allowing system designers to locate modules nearer load groups, reducing harnessing and wire labour and costs. Hardware innovation sees the introduction of PTC auto-resettable fuses and retains system redundancy with CZone’s manual circuit bypass. 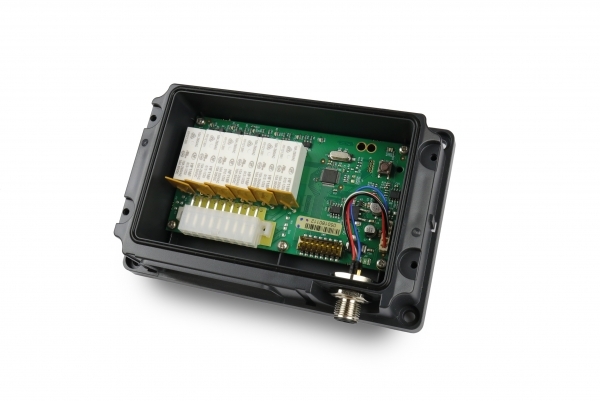 Entry level digital switching module for 12 V marine and RV applications. Stand alone or networked with other CZone products. Compatible with CZone integrated Multifunction Displays (MFD’s). Six independent dry contact relays allow positive, negative and reversing motor control. Status LEDs/fault codes for all channels.